Flip a coin. 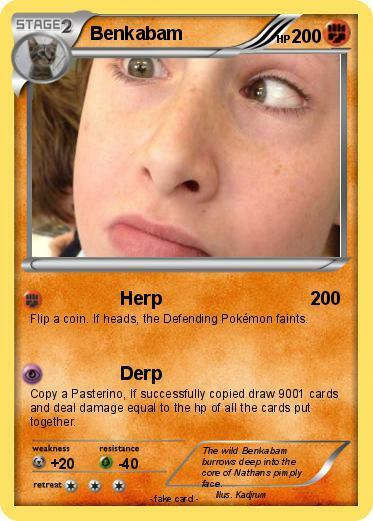 If heads, the Defending Pokémon faints. Copy a Pasterino, If successfully copied draw 9001 cards and deal damage equal to the hp of all the cards put together. Comments : The wild Benkabam burrows deep into the core of Nathans pimply face.